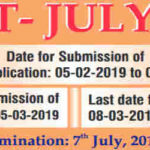 The notification for Central Teacher Eligibility Test (CTET) 2019 to be conducted by the Central Board of Secondary Education (CBSE) has been released. 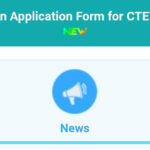 So If you wish to teach the students of class I to VIII and want to appear for CTET 2019 than you should be aware of CTET 2018 Eligibility Criteria beforehand as candidates failing to fulfill these eligibility criteria wont able to apply for CTET 2019 .
a) Relaxation up to 5% in the qualifying marks in the minimum Educational Qualification for eligibility shall be allowed to the candidates belonging to reserved categories, such as SC/ST/OBC/Differently abled. b) Diploma/Degree Course in Teacher Education: For the purposes of this Notification, a Diploma/Degree course in teacher education recognized by the National Council for Teacher Education (NCTE) only shall be considered. However, in case of Diploma in Education (Special Education) and B.ED (Special Education), a course recognized by the Rehabilitation Council of India (RCI) only shall be considered. c) Training to be undergone: A person with D.Ed (Special Education) or qualification shall undergo, after appointment , an NCTE recognized 6-month Special Programme in Elementary Education. d) The minimum qualifications referred above apply to teachers of Languages, Social Studies/Social Science, Mathematics, Science etc. In respect of teachers for Physical Education, the minimum qualification norms for Physical Education teachers referred to in NCTE Regulation, dated 3rd November, 2001 (as amended from time to time) shall be applicable. For teachers of Art Education, Craft Education, Home Science, Work Education, etc. the existing eligibility norms prescribed by the State Governments and other school managements shall be applicable till such time the NCTE lays down the minimum qualifications in respect of such teachers. 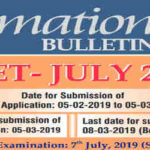 e) A person who is pursuing any of the teacher education courses (recognized by the NCTE or the RCI, as the case may be) specified in the NCTE Notification dated 29th July 2011 shall be eligible for appearing in the CTET. f) The candidate should satisfy his/her eligibility before applying and shall be personally responsible in case he/she is not eligible to apply as per the given eligibility criteria. It is to be noted that if a candidate has been allowed to appear in the Central Teacher Eligibility Test it does not imply that the candidate’s eligibility has been verified. It does not vest any right with the candidate for appointment. 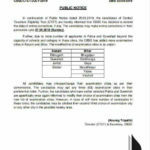 The eligibility shall be finally verified, by the concerned recruiting agency / appointing authority.